THE Queensland cabinet, with the exception of Deputy Premier Jackie Trad, directly faced the Rockhampton, Keppel and Mirani electorates yesterday. But in order to reach the auditorium at North Rockhampton High School, they first needed to pass a sea of protestors who were there to make their voices heard. Mums, dad, kids, business people and community leaders - the atmosphere was electric as they made sure the Premier heard their views on Great Keppel Island and commercial net fishing. More than 300 people filled the auditorium and after a late start, were immediately told that $1 million was being made available to clear debris from Cyclone Marcia in the creeks and rivers. 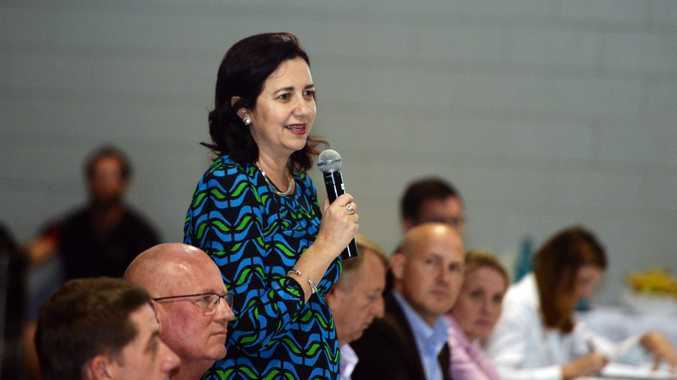 Premier Annastacia Palaszczuk said the cyclone was the first test of her new Government and publicly thanked everyone involved in the recovery process, particularly the region's two mayors, Margaret Strelow and Bill Ludwig. 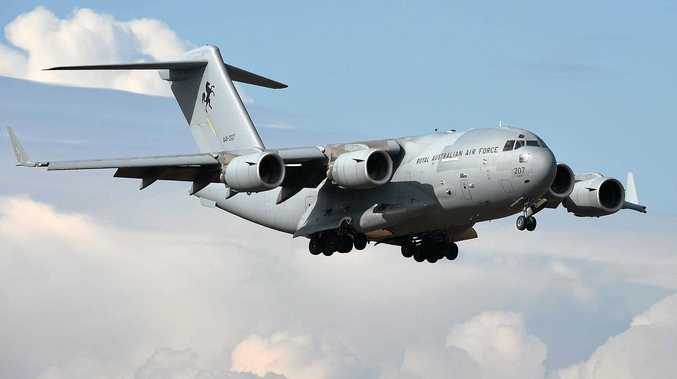 "We know there is still more work to be done but we won't be forgetting you," Ms Palaszczuk told the forum. "I've got Brittany (Lauga) and Bill (Byrne) and Jim (Pearce) who are always in my ear making sure we will do whatever it takes to make sure it's back to full recovery." The Premier initially addressed the gaming license for Great Keppel Island and commercial net fishing then it was over to the floor, not for the promised hour, but for 21 minutes. The time didn't allow for many questions, but after the open forum ministers made themselves available to talk to individuals and community groups. Questions covered a variety of topics.